Host Jonathan Blackwood talks to Grigoriy Milis, CTO of Richard Fleischman & Associates, about the company’s implementation of a new cybersecurity solution. Tom LeBlanc steps in to interview Jeff Perri of ProDataKey about the past, present, and future of access control in commercial environments. Host Jonathan Blackwood interviews two Sony representatives about the company’s recently announced Future Learning Collaborative. Host Jonathan Blackwood interviews Josh Shanahan, President and CEO of SVT Technology Solutions and Services about the genesis and growth of the company and the integration industry in general. Adam Forziati interviews Alan Brawn about a recent, intensive look into technology in higher education that Alan penned. Tom LeBlanc steps in to interview Hank Monaco of Johnson Controls about access control solutions, return on investment, additional uses, and the future of access control. 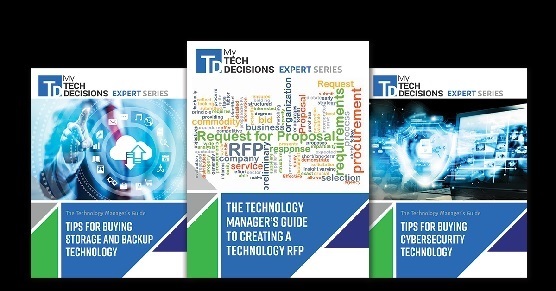 In this episode of My TechDecisions Podcast, Tom LeBlanc steps in to talk to the guys from Defendify about cybersecurity and managed services. Tom LeBlanc steps in to interview Tim Palmquist of Milestone Systems about the many use cases of IP video management solutions. My TechDecisions Podcast – Episode 44, Marco Hegyi of GrowLife, Inc. Host Jonathan Blackwood sits down with Marco Hegyi of GrowLife to talk about automation, data, analytics, and AI in the marijuana industry.